Conclusion: Which SUP for Lake Paddling? Most of you beginner paddlers probably don’t want to spend your early experiences on a SUP in fast-flowing rapids. Beginners generally want to stick to calmer waters like lakes and ponds to build up more experience. The only question is: what kind of SUP is good for those types of waters? 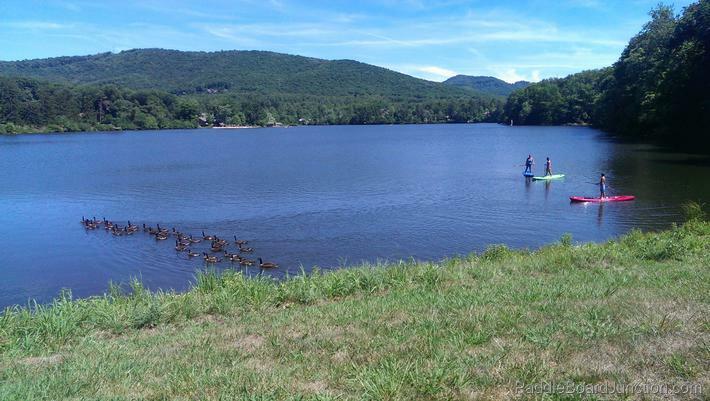 Flat-water boards, or All-Around Boards, are ideal for calm lakes and ponds. These boards are good for stability, so you don’t fall off too easily. 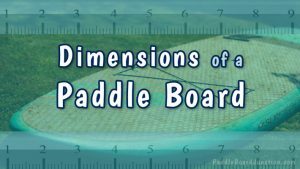 Length and width generally vary between types of boards, and generally determine the weight which the board can handle. 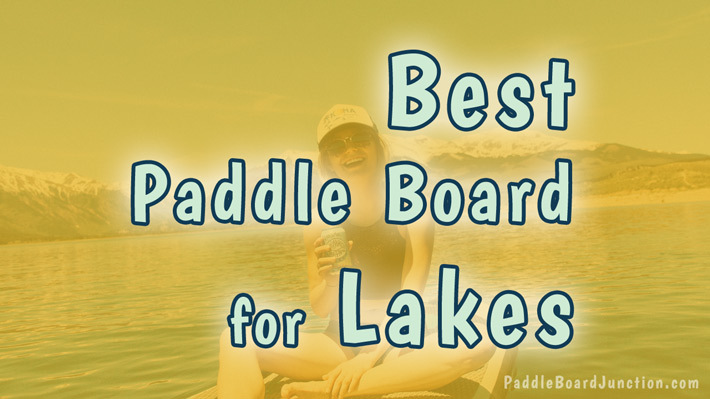 The best paddle board for lakes is around 10-11 feet in length and 30-34 inches wide. This is especially true for beginners. The 30-34 inch width will provide a good base to put your feet on and will give you nice balance. Also, most people are good with a 10-11 foot board because it will support a lot of weight and will also provide a base for good balance. 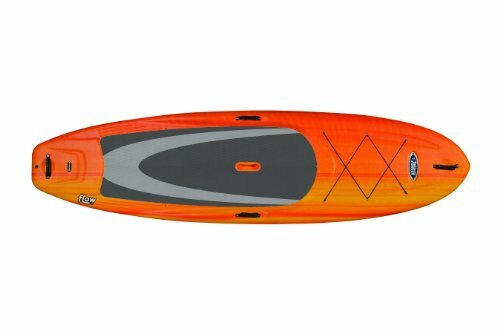 Specifically designed for novice paddlers on calm waters, this Liquid Shredder board is lightweight and patented with a dual aluminum stringer system for more strength and rigidity. Optimum waters for this board: Lakes, ponds, bays, and calm rivers. This is a big board! The longer length is optimum for riders up to 300 pounds. Although it may be too bulky for smaller, lightweight riders this board can handle a couple of kids and the family dog on it all at once! The board’s soft vinyl outer skin is not laminated to begin with, so the board’s exterior cannot delaminate. The board also contains a full-rider footing area containing a high-quality deck pad to provide good support for a balanced stance while paddling. The bare board’s weight is 29 pounds, which is lighter than most cheaper boards and will provide easy-lifting. Customer reviews are all positive, i.e. they all rated the board 4-5 stars. Most say the board is good for beginners and is very durable and stable. This board is able to support a wide range of weights due to its 10-11ft length and 31-inch width. Although, it is important to note that only experienced riders may exceed the weight limit of 275 pounds. The non-slip deck grip provides good grip for your feet to reduce the risk of falling off the board. Also, the board is rigid and stable, and optimum for all skill levels. The polyethylene coating also provides cushioning for a comfortable paddling experience. Customer reviews are mainly 5-star ratings. Most comments note that this board is lightweight and easy to carry. 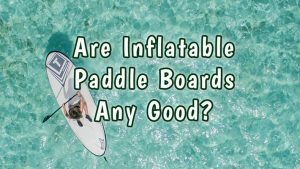 This board is inflatable, which is convenient for storage and transportation purposes. A weight of 17.5 pounds makes the board relatively easy to lift up and carry. 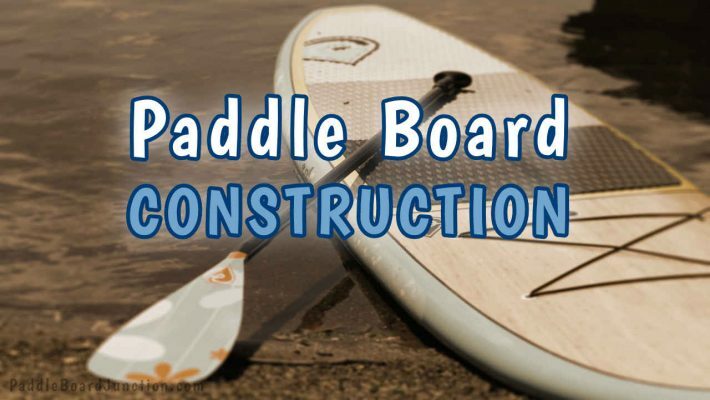 The board is constructed with military grade PVC which makes it sturdy, having the best stability on flat waters. 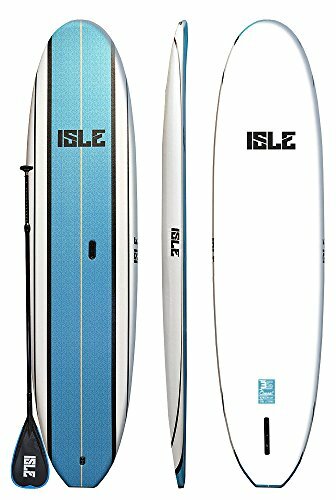 This ISLE inflatable board is made for all skill types and supports riders up to 240 pounds, in the range of most adults. Over 90% of customers that rated the board said it was 4-5 stars and some noted that it is light and easy to travel with. The FLOW 106 is a stable board and made of impact-resistant material, which is ideal if you’re looking for a long-lasting paddle board. The FLOW 106 is 48 pounds, so difficulty lifting it may be the only setback. A good quality SUP cart is recommended. The maximum capacity is 230 pounds, in the range of most average adults and children. The primary material is thermoform plastic, which makes the board comfortable and impact-resistant. Ideal water types for this board are calm waters like lakes, bays and creeks (flat water) and its skill level is beginner or intermediate. Some other features of this board are: an anti-slip deck pad (so you don’t fall in the water easily), bungee cords, rail ramps for balance, a 5 inch flexible rubber fin, bottom grooves for tracking, and carrying handles. The majority of customer reviews are positive and most say that the board is very sturdy. 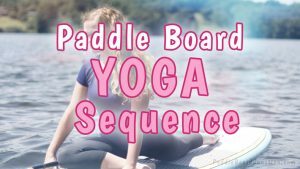 All of these boards are good for flat waters, especially calm lakes, because they are all sturdy and are easy to stand up on (because of that wide base). As a beginner you can expect to glide through the water effortlessly. 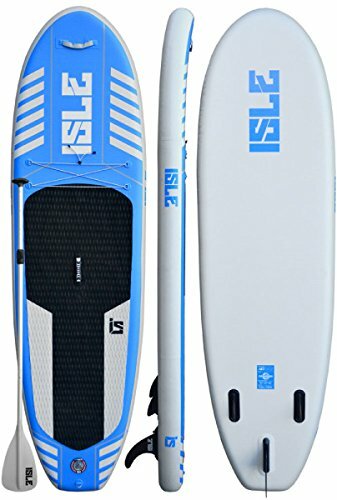 However, if you are looking for a convenient board for storage and transportation, go with the ISLE Airtech Inflatable SUP. The Liquid Shredder is best for supporting taller and heavier people out on the water, while the FLOW 106 and ISLE Classic Soft Top are best for beginner/intermediate paddlers and children. 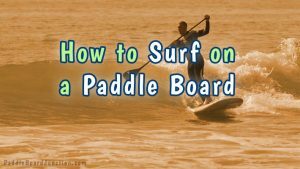 As for the prices, a good quality board that will support you is a worthwhile investment, especially if you want to take up paddle boarding for a long time. The important thing is to get started. Pick a board…start having fun today!